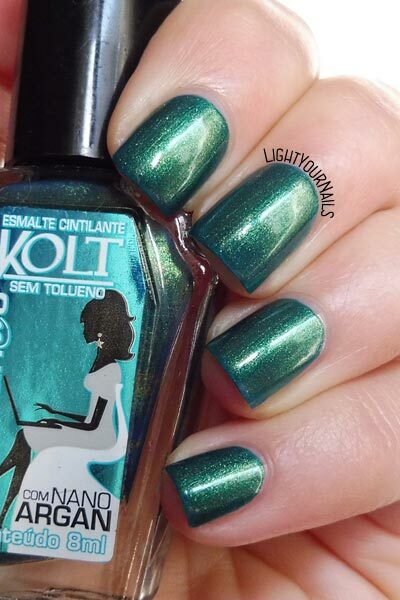 Kolt Vicio | Light Your Nails! Today I am showing you a nail polish that is old and comes from faraway. No good! Kolt is a Brazilian brand that I’ve already blogged about in the past. 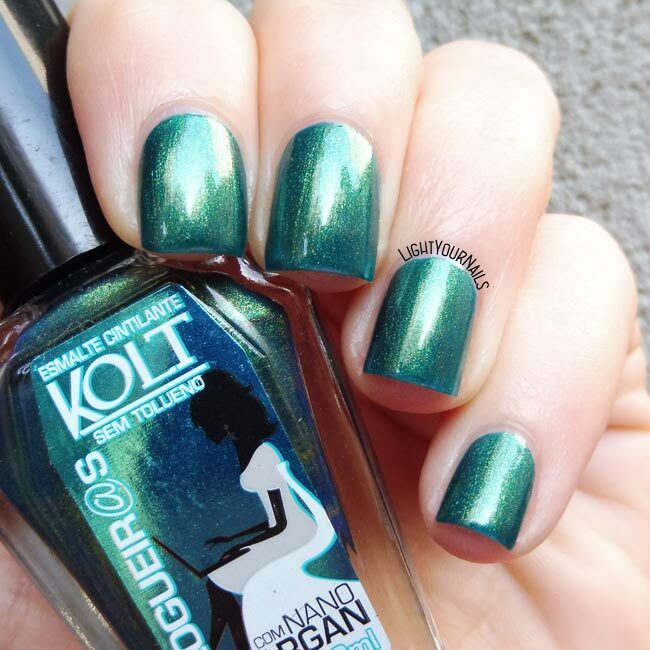 Kolt Vício was released in 2012 as part of the Blogueir@s (bloggers) collection. The nail polishes are named after words commonly used by us nail bloggers. Vício means addiction and you know we are all nails addicts! Colour is a teal. Well, the base is green but the golden shimmer makes the trick and you can see it both blue or green depending on the lighting. I tried showing you some different shades it shifts in the pics below. Application is easy, formula is on the thick side. Coverage is quite poor. You need two coats for the colour to be opaque, or three if you want the different shades to show up more. Drying time is not very quick. I’ll be honest: I had big expectations. I thought Vício was a foil and I could see those glitters on my nails. It’s not the case. It’s really pretty, but not unique. Can you agree with me? Il colore é stupendo, uno di quelli che indosserei sempre (e che indosso anche adesso! 😁), ma l'idea di tre passate mi fa storcere il naso! Sì, tre passate scocciano anche a me, tranne qualche eccezione! Che colore/marca stai indossando? 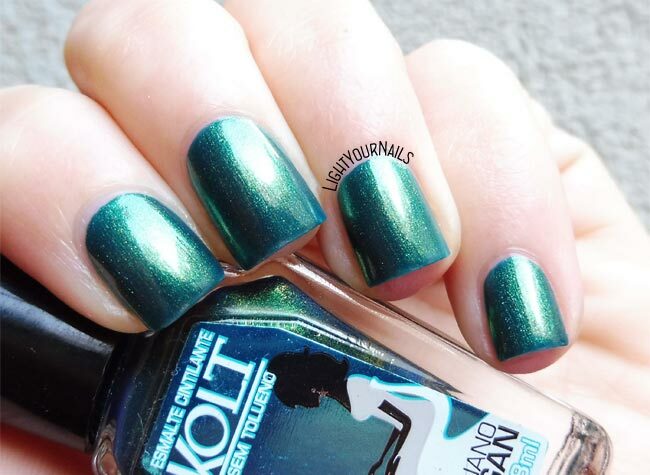 Very good name for a polish :)) How can I express my self...I am freaking out when I see such stunning greens on you. Even if this one needs more layers and the drying time is not so good, I LOOOOVE IT! Non mi dispiace sinceramente...però forse se ne trovano simili con meno passate da fare, che dici? Sì, secondo me sì Emanuela! E magari di brand italiani e facili da reperire!